1. 29th chapter of agnipuran contains the medicine, which grants longevity to the person. according to the text, consuming 240 mg to 500 mg of brahmi powder with milk every morning is very beneficial. it also increases the memory power. 2.ayurvedic scriptures like charak and sushrut say that consuming 3 gm of green vegetable soup increases the memory power. brahmi leaves are tasty just like the tamarind leaves. 3.bhav prakash includes the importance of shankhpushpi for good memory. consuming 3 to 6 gm of shankhpushpi powder with milk is extremely beneficial for increasing memory. 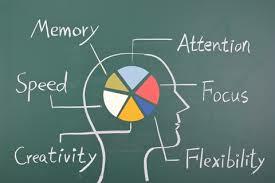 it also plays an important role in improving the functioning of the brain and its overall development. 4.beshajya ratnawali is a famous ayurvedic literature. according to this book regular consumption of brahmi, shankhpushpi, almond etc. strengthen the brain cells and provide coolness to the brain. they are helpful in improving the memory power and cure the nervous related problems. 5.an ayurvedic literature called chikitsa chandroday mentions the importance of brahmi in the form of chemical. regular consumption of brahmi improves the capacity to think and understand. it also includes a simple combination to improve memory power. it says that almond and sugar candy ‘haluva’ (sweet dish) is very healthy to strengthen the brain cells and improve the memory power. 6.add one- gram black pepper in ten grams of honey and consume this mixture twice a day. this combination is very beneficial for increasing the memory power, improves eyesight and stops premature graying of hair. 7.a greek literature ‘ijajul gruba’ mentions that consuming fiber in right quantity is extremely beneficial. almond and pomegranate squash are very useful sources of fiber food. whichever squash suits the body, should be taken regularly in the summer season. this book has cautioned that the best way to improve the memory power is to keep the mind cold and the feet warm. 8.ayurvedic books have paid utmost attention to massage. massaging the feet and head with rapeseed oil is beneficial in improving the memory power. regular massage of the head increases the blood flow and also improves the memory power. it also relieves headache and improves the eyesight. 9. a simple tip can improve your memory power many times. when you go to bed, lie down straight, close your eyes and memorize all the activities, which you did throughout the day from morning to evening. practice this tip everyday and you will notice that the memory power has improved to a great extent. 10. people who sleep with their head towards the east or south direction have very good memory power.